Slip into the Remonte Dorndorf by Rieker Elaine 32 for an envy-worthy fall look. This boot from Rieker has an upper made of super soft leather with a textile wool upper shaft. The wrap around detail, paired with the classic silhouette make the Elaine 32 easy to pair with any outfit and the side zipper creates on/off ease. Inside, the soft textile linings create an inviting interior while the cushioned footbed provides all day comfort. The Elaine 32 is finished off with a durable synthetic outsole for traction. 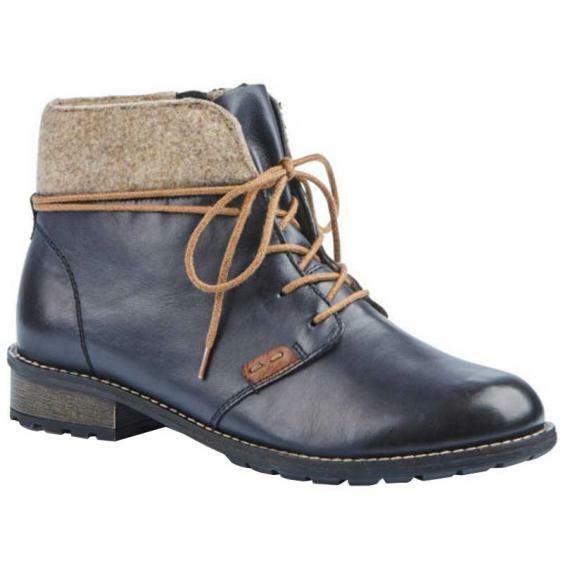 With both style AND comfort, the Remonte Dorndorf by Rieker Elain 32 will quickly become a fall favorite.